SLAM Underground at the St. Louis Art Museum happens on the last Friday of the month and is an adult evening of live music, art, games, a cash bar with signature cocktails and more. Admission to SLAM Underground is FREE! See website for current month's theme. 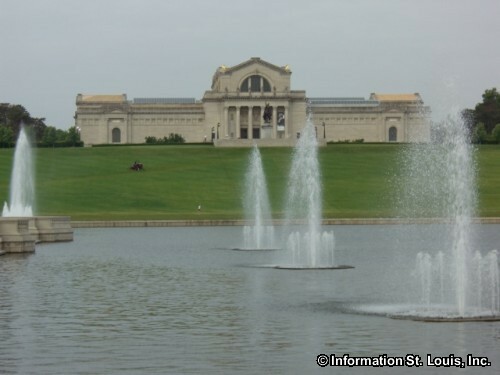 The St. Louis Art Museum is located in Forest Park in St. Louis Missouri and admission is FREE every day. The museum holds pieces of art from almost every time period and culture and is considered to be one of the nation's leading comprehensive art museum. Special exhibits are featured throughout the year. On Fridays, the Museum has extended hours and admission to the featured exhibitions is FREE! Daily Hours: Tuesday - Sunday, 10am-5pm; Friday, 10am-9pm; Closed on Mondays, Thanksgiving Day and Christmas Day. Directions: Located in Forest Park, on Fine Arts Drive.